Where can you scratch a baby camel under its chin (until it lays its head on the ground, because it likes it); see the Atlantic and Mediterranean oceans at the same time; enjoy a four, five, or maybe seven course meal for just a few euros (we lost count, as it just kept coming and coming); visit street markets with open air meat and fish; the same markets with fruit and vegetables from the Atlas mountains; see a few stars of David where you would not expect them; visit an archeological museum with local finds from the Greeks, Romans, and some more modern items; and do all of this in a day trip coming from another country? Welcome to Tangier, Morocco. From Tarifa, Spain, it’s only a 35-minute “fast ferry” ride across the straight of Gibraltar. Morocco–as with many places in Europe and the Near East which had contact with the Greeks and Romans in early times, and the Moors, Spanish, French, and English in later times–has had an interesting history of religion, change, and control. There are Roman ruins at the city of Volubilis (115 miles south of Tangier) which harken back to the time when Rome controlled all shores of the Mediterranean. Before that, just outside of the city of Tangier was a Phoenician colony at one of two potential sites for the ancient Pillars of Hercules. 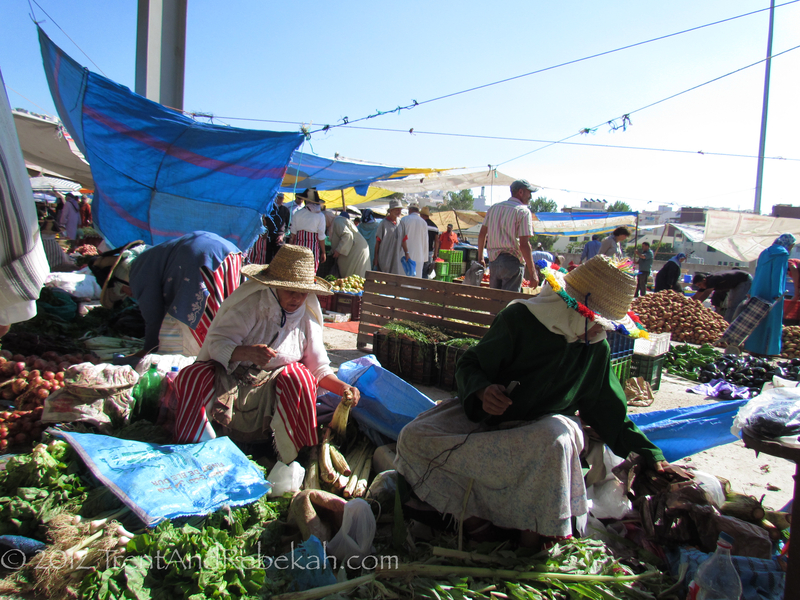 In more recent times (19th and 20th centuries), Morocco went through an interesting era as an “international city” where its ownership was shared between multiple countries and it was designated a tax-free zone. This, as you can imagine, attracted everyone from thrifty billionaires to con-men, and caused the Moroccan government to leave Tangier by the wayside. Times have now changed for the better, and in 1956, Tangier was returned to full Moroccan control. 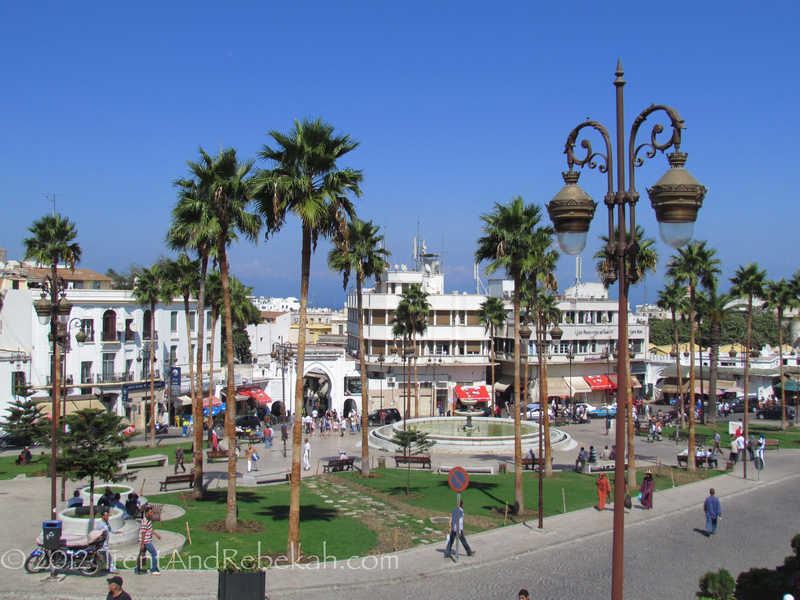 The Moroccan government is now investing in Tangier again, trying to bring back the “world-class” city status it once had (minus the con-men). As mentioned, here you will find the strange mix of church, mosque, and synagogue that you might expect to find in Jerusalem. The mosque and church histories are not that hard to fit in, given the Moorish and European influence, but the synagogue is a tougher fit. As is the case with many pockets of scattered Jewish populations, Morocco at times opened up to receive Jews. Some even came to the area in Rome times. These patterns solidified a Jewish presence here, which has declined in modern times. 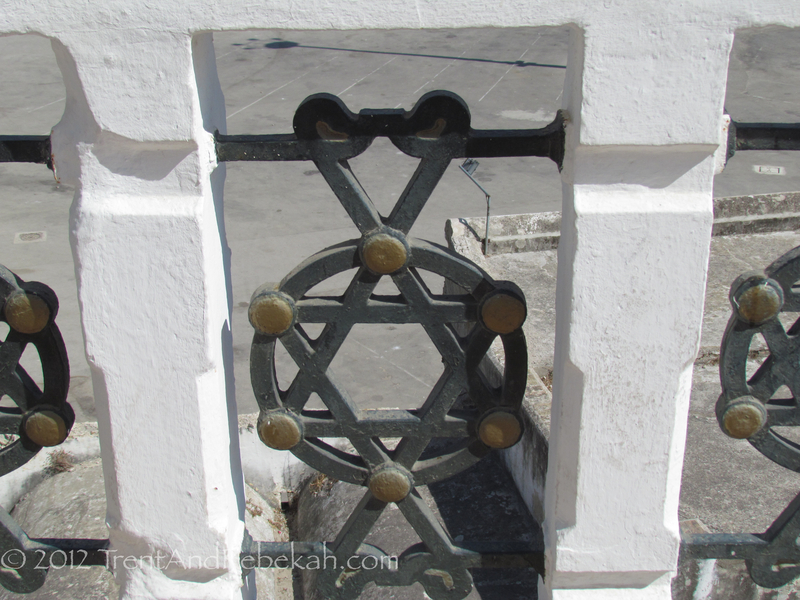 This helps explain the occasional Star of David you see in Tangier, as on stair rails from a popular Jewish hotel in the 50s near the port in Tangier. Unfortunately, we cannot show pictures from the archeological museum, because, as with some museums, they do not allow photos. This is a pity for this museum in particular, since they do not sell books, nor do they have a website. Allowing responsible photography, as many museums have found, is a great way to promote themselves. 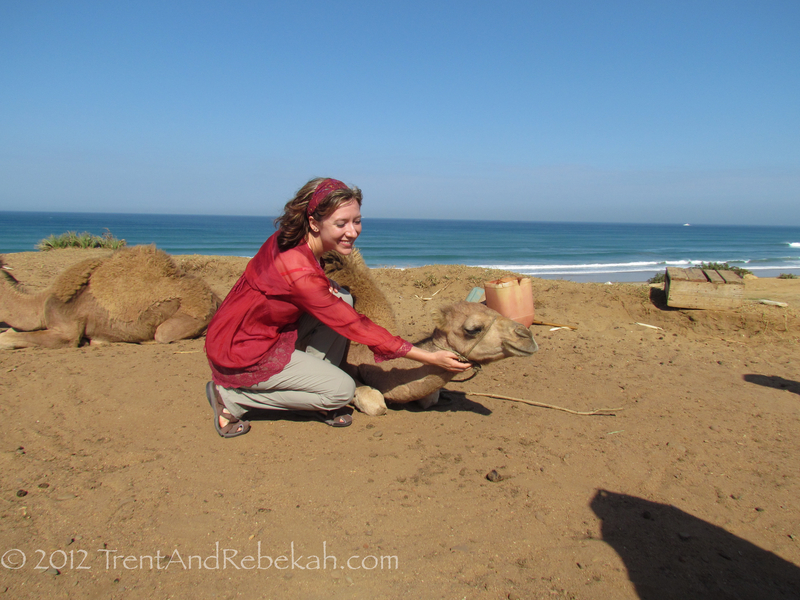 Last but most important, petting baby camels. They appear to have a sweet spot, just under the chin. Once you find it, you appear to have control of them. Who would have thought a camel could be so adorable? This entry was posted on September 24, 2012 at 2:21 pm and is filed under Ancient History, Art, Nature, Whimsy, World History. You can follow any responses to this entry through the RSS 2.0 feed. You can leave a response, or trackback from your own site.